Selecting new office furniture can be a fun and exciting time since you get to change things up and have new spaces to look at, but it needs to be done properly. The whole process can be stressful, forcing you to rush and make bad decisions. So, keep a few things in mind, such as budget, your business goals and existing space to ensure the process doesn’t feel like a chore. 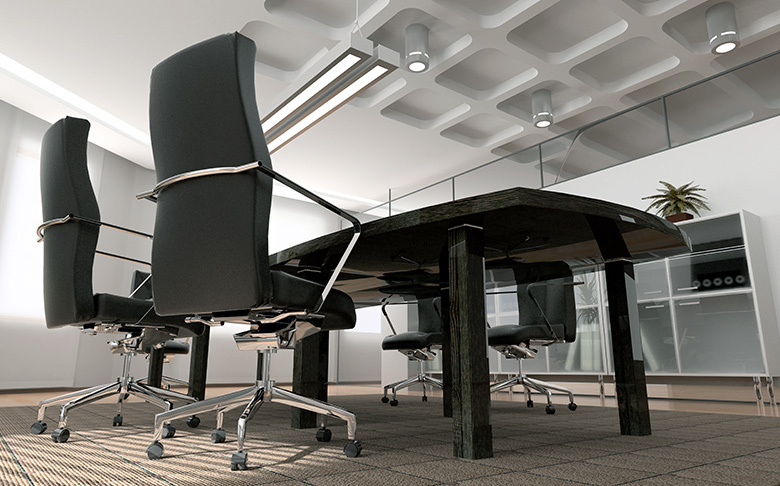 Perhaps the biggest concern is how much your office furniture is actually going to cost you. Speak to your businesses’ accounting department to see just how much of a budget you have. If you’re the sole proprietor or simply have to make this decision yourself, go through the numbers to find a comfortable maximum to spend. Keep it under budget, but never sacrifice quality for quantity. It’s better to slowly buy new office furniture than to invest in mediocre furniture you will need to replace in a few years. Discover which rooms would benefit the best from a total makeover and figure out how to give it a facelift. Speak with staff to see which rooms need new furniture. Understand the needs of your employees and how they would like to work more comfortably to help you make an informed decision on which office furniture to purchase. New furniture also helps morale in the workplace, so not only are you purchasing furniture that looks new and feels great, but you’re showing your employees that you value them. Certainly, that sectional sofa looks great but is it the right fit for your lobby? You need to ask yourself questions like these and others as you look for new office furniture. The needs of your business are vastly more important than how furniture looks in a showroom, so know exactly what your spaces need before you buy anything. Also consider the colour scheme and overall design. Only purchase furniture that will compliment and be the functional piece you need it to be! are met. While it’s important to know your budget as stated above, don’t compromise. Your employees and customers need and deserve to be comfortable while in an environment that looks professional. Last but not least, ensure that your office furniture is uniform to the rest of your office’s interior design. As we’ve stated, it’s vital to purchase furniture that matches the way your office is decorated to ensure the new furniture doesn’t look out of place. If you’re going for a comfortable look with warm colours, only purchase office furniture that’s warm rather than a white or black that’s going to stand out of place. It’s one of the first things your visitors and staff alike will notice, and it doesn’t matter how comfortable the piece really is, it’ll stand out and that isn’t good. Want to find the best office furniture for your office? There’s only one place to stop: Guaranteed A Fine Furniture. Stop by our showroom and let’s have a look together!